1) Can you give us a snapshot of who you are (i.e. a little about yourself, your background, and what you do today)? My name is Jessica Groves-Chapman; I am a mover, movement educator, writer, business owner, partner, and mom. I have a BA in Psychology from Wesleyan College, a MS in Kinesiology – specializing in Exercise Psychology – from the University of Georgia (UGA), and a PhD in Neuroscience from UGA. I have two children, Marvin and Emma, ages 5 and 3, that keep me moving every second of every day. I am married to my business partner, Marvin Chapman, and we own Athens Movement Practice located in Athens, Georgia. Currently, I perform duties as CEO of our business, which includes all of the day to day operations such as marketing, billing, networking, etc. I also coach a couple of one-on-one clients, and the remainder of my days are as Mom. It’s basically 3 full-time jobs, but I love them all! Although, I admittedly struggle with life balance daily. Breathing helps, a lot. ? Note: Jessica is also a Level 1 MovNat Certified Trainer who is *this close* to securing her Level 2 certification! 2) Can you tell me what life was like for you before you found MovNat and began practicing it? I was primarily a runner pre-MovNat. This was where I found my zen. I truly enjoyed running, and any strength training was usually done to compliment that. Once we had kids we spent more time outdoors because kids have a lot of energy to expend. I was often nervous about my son’s adventurous climbing. He has basically been doing it since he was 6 months old. I spent a lot of moments worrying about him reaching heights that I might not be able to rescue him from, so we instructed a lot on owning your own limits. Not a terrible thing to teach, but I knew I wanted to be able to offer and do MORE with my kids, and for myself. 3) Can you tell us about any other health and fitness approaches you’ve tried in the past and the kind of results you had in the past? Is there anything you tried that didn’t work? When I was young, I dabbled in sports and loved climbing trees, and like many adults, lost touch with that as I got older. 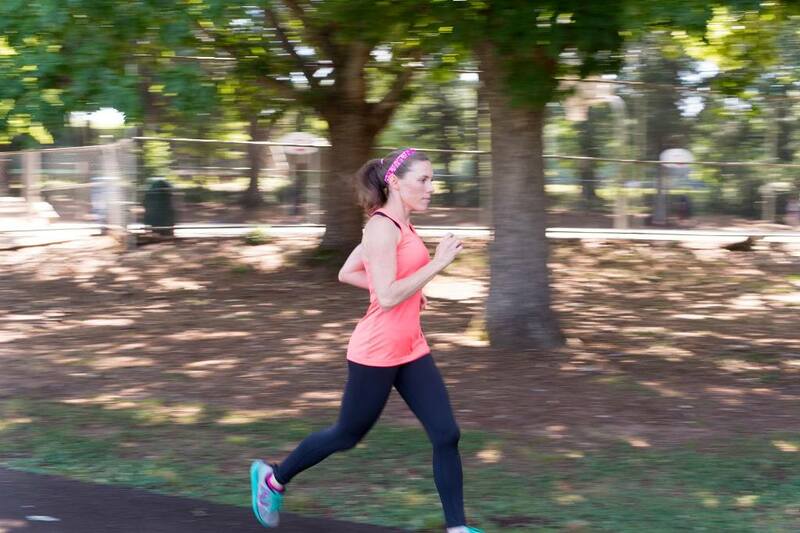 I’ve always enjoyed being active and I ran throughout graduate school, completing my first half-marathon in 2010. I had my first child in 2012 and started back to running, sticking with shorter distances. Any movement or training I did was to compliment being a runner, and to help me deal with the immense stress of academia. I permanently left academia (a tenure-track professorship) after having my second child in 2015 and went right back to running. It’s cheap. It’s easy to do with kids. I completed my second half-marathon that year, and the following year I completed a full marathon. While I love running, training for my first and only marathon in 2017, and nursing a leg strain (obtained in a yoga class during my high mileage training), burned me out. I reached a point where running was no longer enough. I’m known for trying new things out. I attend yoga classes sporadically. When I have access to a pool, I will swim. And I have taken boxing and self-defense classes. Nothing, aside from running, has ever really stuck long term. Nothing else has seemed worthy enough to truly invest my time and energy into. 4) How did you find out about MovNat and why did you decide to try it? What attracted you to it? In 2016, we organized and founded our business, Athens Movement Practice. 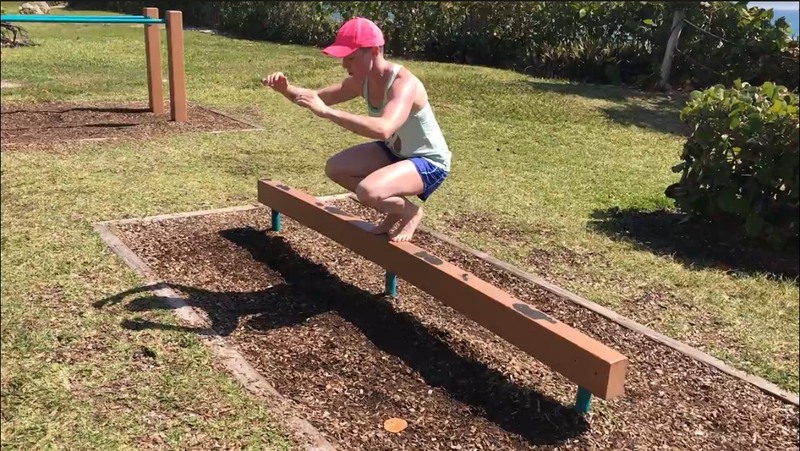 I ran the business side, swearing off the idea of being a “personal trainer.” In January of 2017, my partner decided to try and help inspire my interest in movement, so he sent me off on my first trip by myself (post-kids) to a MovNat Workshop. I had never been to any type of fitness workshop or course, and I didn’t know much about MovNat, or so I thought. I only knew that there were cool videos, it looked fun, and I was ready for something different. I was especially drawn to the “outdoor” concept, as that is where I would prefer to move. 5) Can you tell me about your experience exploring MovNat and about the events you’ve attended? My first MovNat experience was as a workshop participant. The workshop was part of a certification weekend and was held at OSI in Fuquay-Varina, NC. It was taught by none other than Danny Clark, a fantastic mover and teacher. I was excited and supremely nervous. I was certain I would be the oddball academic in a room full of fitness professionals. Reality could not have been further from my expectations. I met people from all walks of life, many of whom I still keep in touch with to this day. Truly inspiring and awesome people all gathered together to learn natural movement; AND, I was already familiar and capable of performing many of the movements taught, thanks to a sneaky trainer who had been adding it into my training for a few months. I was hooked after the first day! Danny mentioned that there was a women’s certification being taught that May in New Mexico, with Team Instructor Abby Corriveau. I had been following Abby for a while on Instagram and was thrilled with the chance to learn from such a strong an inspiring woman, who was also a mother. I called my husband, Marvin, that night and informed him of my decision! To be honest, I wasn’t sure how we were going to afford the trip, but it was an investment I will never regret. The Women’s Certification pushed all my boundaries and self-imposed limits. I hadn’t been surrounded by such driven and incredible women since my time at Wesleyan, and at first, I was really intimidated by all of them. I had nothing to fear because Abby and Christa were wonderful teachers, helping each of us see our inner strength and encouraging us to give it our all. So, I did. I walked away with my Level 1 in hand, one of my proudest achievements to date. I had never had to work so hard physically for an accomplishment, and I was thrilled. I knew that we would not be able to afford another certification for a while, but I was so pumped with what I learned I attempted an outdoor summer movement course in Georgia when I returned. Summer in Georgia, in case you are not aware, is the last time of year you should consider moving outdoors. Humidity & bugs is a sure way to not have any participants. Then last Fall, MovNat announced it was offering a chance to win a certification, all I had to do was complete a survey. Sure, why not. I completed the survey, and then forgot about it; until I WON. 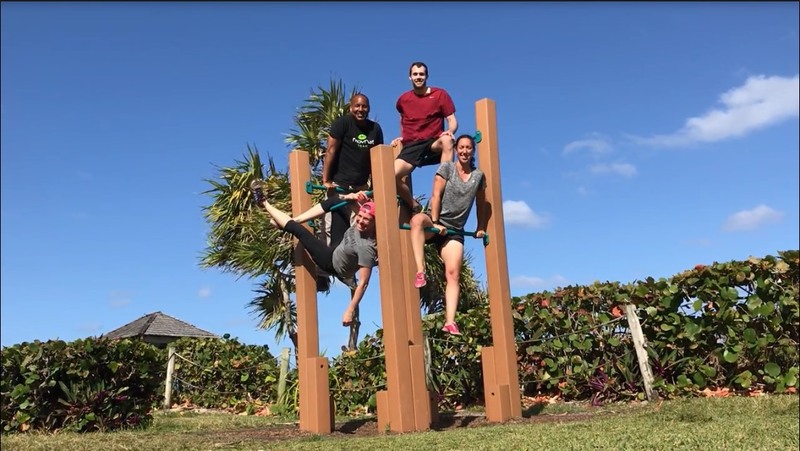 I signed up for the Atlanta course that January with MovNat Team Instructor, Eric Brown, but soon changed to the Deerfield Beach course in March. I knew I needed more time to prepare. I was nervous but began training immediately. I went from barely one pull-up to 4. I increased my strength, learned how to power clean, and set myself up for a challenging time. I arrived in Deerfield Beach in time for the Level 1 certification, and I am so glad I arrived early. Observing Eric instruct, and participating/assisting as needed, was a chance of a lifetime. Eric is a master instructor and mover. He instructs not just on the movements, but on how to deconstruct them. His warm-ups are fun and engaging and he is one hell of a coach. By the time the Level II course started, I knew I could do this. There were only a few of us so we received ample attention for movements we needed to work on, as well as technique tips to master any we might need to complete at home (here’s looking at you tuck pop-up!). I passed every component of my Level II, except the tuck pop-up. I had attempted the movement prior to arriving, badly missing the sequence and timing and pulling an abdominal muscle. Between the climbing and jumping, I was in sad shape for accomplishing this movement there. I have just recently recovered enough to get back on my training and anticipate that I am closer than I think to full achievement. Just need to shake a few nerves off. My journey with MovNat has been incredible, and I am certain it is not done yet. 6) What is your life like now, after you’ve integrated MovNat into your lifestyle? How is your life different? How is it better? I think life before MovNat was not as fun. Ok, maybe that’s a stretch, but seriously; I have found myself enjoying my surroundings and finding ways to play in places I never looked before MovNat. Trail runs are no longer about running so much as playtime in the woods. Gym spaces aren’t just weights, they are adult playgrounds. I have also had a major shift in how I view fitness, as well as my own capability and strength. Part of this came about after growing and birthing two humans, yet a big part of my ability to embrace my own strength has come from the capability instilled by participating and training with MovNat. Learning these skills has led me to see how important it is to be present in our own lives, and capable of doing the things we want to be doing. A catchphrase we use often with our business is: I move therefore I can __________, what would you be doing if you could move better? MovNat is a great foundation for better and more efficient movement. Just show up. You will never regret investing in yourself. We are meant to move, connect, learn from one another. MovNat fully embraces all of this, and so much more. The absolute best thing about it is that MovNat really is for EVERYONE. Whether you are just starting out with movement, or whether you are a trained athlete. Not only will you learn how to complete movements that we should all be capable of, you will learn how to share that ability with others. In the words of Dr. Maya Angelou, “If you’re always trying to be normal, you will never know how amazing you can be.” Be amazing. Thank you for sharing your inspiring story with us, Jessica! 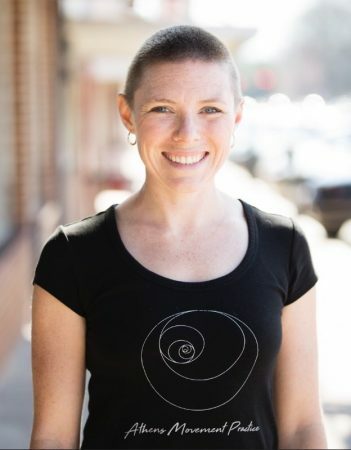 Bio: Jessica Groves-Chapman, PhD is a MovNat Certified Trainer, a Mom, a Movement Educator, and the Founder & CEO of Athens Movement Practice in Athens, GA. She is also an avid runner and writer. You can learn more about Jessica on her website https://www.athensmovementpractice.com. Or, join the MovNat Women’s Facebook group to connect with her and other women in the MovNat community. We’re hosting a couple of special women’s-only events this summer! 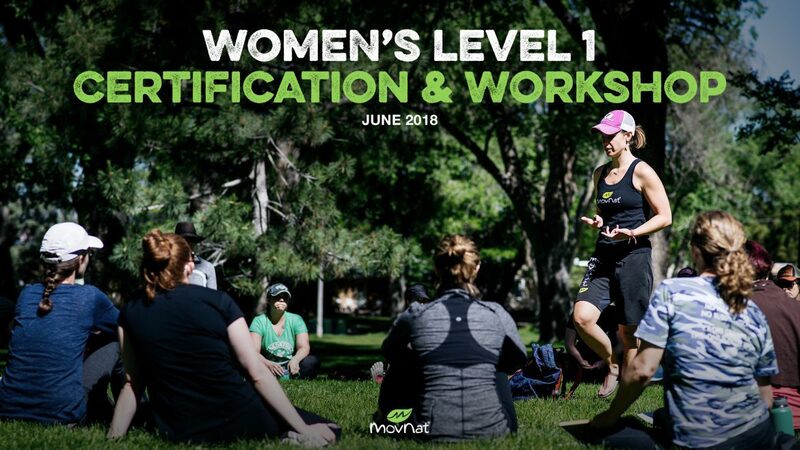 If you’d like to learn all about Natural Movement Fitness from one of our very best, MovNat Team Instructor, Abby Corriveau, please sign up for one of our upcoming Women’s Certifications or Women’s Workshops, where you’ll take your movement practice to the next level. We’ve done a few of these events in the past and they always fill up quickly. So, if you’re sick and tired of all the fitness nonsense that is promoted to women and want to discover the freedom of Natural Movement Fitness, reserve your spot using one of the links below. Space is limited!